Dance Life is the property of Discount Dance Supply. 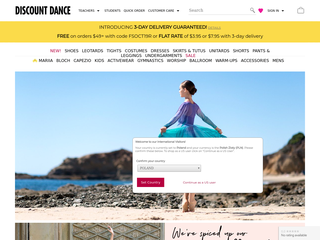 With over a 150 brands, Discount Dance Supply is one of the world's largest dancewear retailer, providing dance shoes, bodywear and accessories up to 35% off retail price. Receive top new Coupons for Discount Dance Supply by mail. Top Discount Dance Supply-Coupons always fresh in your mailbox with high Data Protection.